Casting a line with the family? 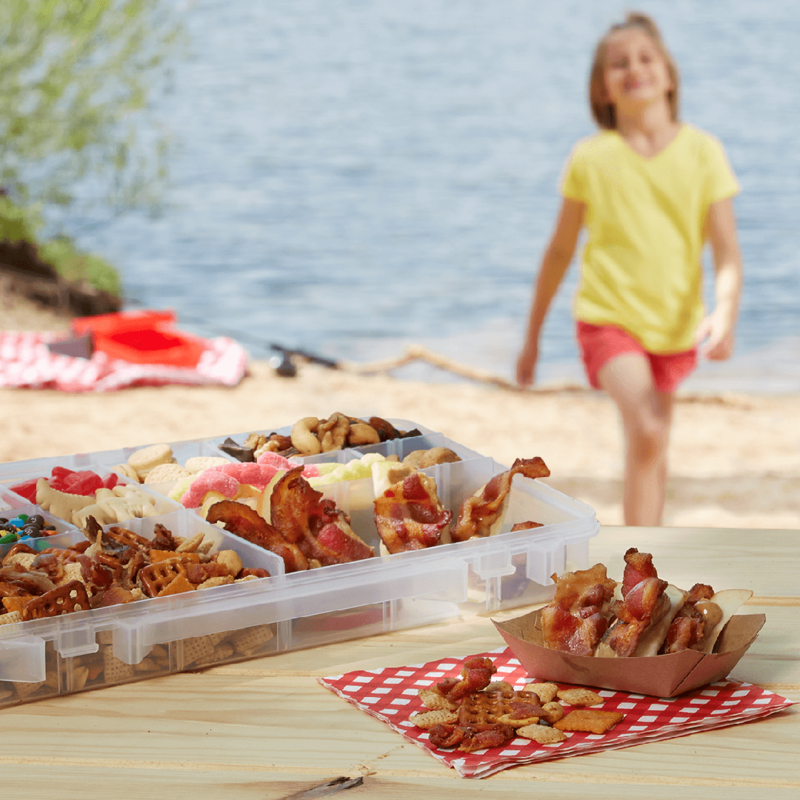 Pack up your own Snackle Box with some favorites like Cheesy Bacon Trail Mix or Peanut Butter Bacon Apples. Lay out Gwaltney Bacon on a baking tray and season well with black pepper. Bake at 375° F for 8-10 minutes, flip, and continue baking until crispy. For crispy bacon, cook 15-20 minutes. Let bacon cool, then crumble it. Mix together cereal, pretzels, peanuts, crackers and crumbled bacon in a large bowl. Drizzle melted butter over the mix and toss to combine. Sprinkle with seasoned salt and popcorn seasoning and stir well. Pour into a large baking dish and bake at 375°F for 15 minutes, stirring occasionally. Let mix cool. Pack some into your tackle box for a snack on-the-go.